Ladies, if you are reading this article, most probably you are struggling with cellulite on your body. This means 9 out of 10 women have cellulite and it doesn’t matter if you are fat or thin. I am not a doctor and I don’t intent to pretend to be one online. The following are the information I have learnt about cellulite from doing my research online. 1) It is not caused by toxins in your body. A lot of skin products in the market claimed to remove cellulite by getting rid of toxin from your body. But all of the claims are not supported by science. Cellulite occurs when underlying fat deposits begin to push through layers of collagen fibers, or connective tissue, under the skin (often in the buttocks and thigh areas, but also on arms, stomachs, and other common trouble spots as well). This means cellulite is not caused by toxin in your body. 2) As you age, cellulite will get worst. When you get older, your body produces less estrogen. 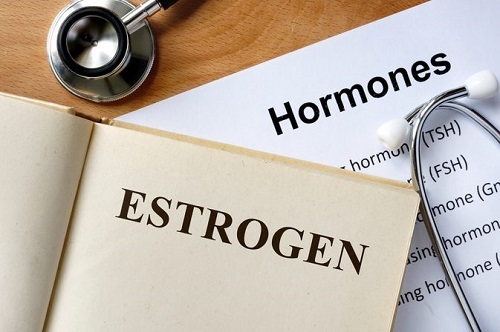 Estrogen is a hormone that helps keeps your blood vessels flowing smoothly. As you age, especially for women, less estrogen means poorer blood circulation. Reduced blood circulation will decrease new collagen production on your skin tissue and therefore magnifying the appearance of cellulite. If your mother or grandmother has cellulite, most probably, you will have it too. 4) Cellulite only appear on fat people. The fact is, cellulite appears on both fat and lean person. As mentioned above, it is more common on woman than on men. 5) Smoking will make cellulite becomes worst. This is a fact because smoking has been shown to reduce blood flow in your body. Lower blood flow as a result weakens and disrupt the formation of collagen. Luckily, there are a few methods you can try to reduce cellulite. First, you can try applying anti cellulite cream on the affected area. But which is the best cellulite cream available in Malaysia? I will advice that you only buy branded skin care product and stay away from the generic brand from China. You can try Clarins Body Fit Anti-Cellulite Contouring. But beware, it is quite expensive. The price for 200 ml is around RM240! Next, you can try Goodbye Cellulite cream from Nivea. If you have the budget, you can also try Revitol Cellulite Removal cream lotion. For non cream or lotion solution, you can try dry brushing. Dry brushing literally mean what the term suggests. It involves brushing your skin where the cellulite is with a soft-bristled brush. The brushing motion improves blood circulation and helps to remove toxin and impurities by stimulating your lympathic system. Doing dry brushing will also give you fresher and smoother skin appearance. If you want an effective way to get rid of cellulite, I would suggest you try the compression leggings from Japan known as Aulora Pants with Kodenshi. The legging is made in Japan using a special material known as Kodenshi fiber. By maintaining your body temperature at a comfortable range, it improves your blood circulate and in effect reduces cellulite on your body.